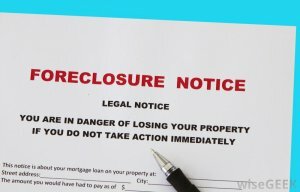 What are the effects of foreclosure in Beverly MA? Foreclosure, like many other types of financial hardships, is an absolute nightmare to deal with. Except you could argue it is worse than most because you are going through financial trouble, and losing your place to live! If you’ve been on the brink of foreclosure, or are just worried that you could eventually lose your house, definitely read on. Today we are going to look at the foreclosures effects in Beverly MA and what local house sellers need to know. First we will look at the effects and the ways of easing them. You Will Lose Your Home – Most people understand this one. A foreclosure, at its center, is a bank reacting to nonpayment of a loan. When this loan was signed, the agreement was made that the bank would be able to take back the house so they could then sell it and hopefully not lose money on their end. Thus, the major end result of a foreclosure in Massachusetts is the loss of the home to the bank. If you had equity in the house or it was almost paid off, do you get to keep any profit the bank makes with a sale? No! 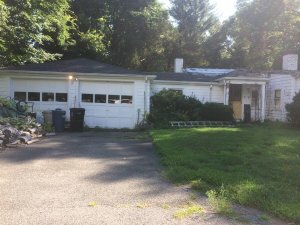 This is another real bummer with foreclosure in Beverly and anywhere in Mass – if you’ve owned a home for years and have equity, you lose all the equity you’ve built! It Will Decrease Your Credit Rating (A Lot) – Your credit rating will be lowered by foreclosure. But by how much? It will drop more if you have a higher credit score. A person with a 700 credit score will lose more points than someone with a 600 score. If you have a credit score of 700 or higher… you may see a drop of 100+ points. Don’t know much about credit? Check this out. Don’t know your current credit score? Click here. It Is Harder to Get Loans – Because your credit score drops and you now have a foreclosure on your record banks, car dealerships, landlords, and other people you are looking to establish a monetary relationship with can see this on your history for years. This makes it much harder to borrow money, or to get an apartment. If you missed some payments to the bank, but did not get the house foreclosed (you sold the house before that happened), these missed payments will also appear in your history. However, because you were proactive and addressed the situation by selling the house, it is not looked upon nearly as badly as if you had the house fully taken away. Depression, Anxiety, and Stress – Your mental health is at risk because of the high-pressure situation. Going through a foreclosure is emotionally exhausting and frustrating for anyone. Once the house has been taken, you’re also homeless until you can find another situation for yourself. House Values In Your Community – Another one of the big things that happens with foreclosure in Massachusetts is that it tends to lower the overall value of the houses in your neighborhood… and this is especially true if there are multiple foreclosures in the same area or street. The house sits vacant while the bank stumbles through its selling process, and could be vandalized, get squatters, or just become dilapidated and overgrown. This adversely affects your neighbors and the values of their homes. For the well being of you and your family, you’ll want to avoid the effects of foreclosure as much as you can. The process can be frustrating and time-consuming, but there are many people you can turn to who can help you navigate the process. Call your bank and work with them: Banks are not in the real estate business. They don’t like taking back homes in foreclosure because they would rather sit back and collect loan payments. Thus, most banks are very willing and ready to work with you… if you can show that you are being proactive and want to solve both their problem and yours. With their help, you can get back on track and save your house. Or, if you just want out of the house but you owe more on the house than it’s worth… see if the bank has any programs to lower the mortgage burden so you can get out from underneath it without it going through the trials of a foreclosure. Talk with a local real estate expert, like We Buy Houses in Massachusetts: We know the local Northshore real estate market well and are helpful in understanding the foreclosure process in MA. Give us a call at 978-712-8250 and we can guide you toward resources that can help you, or we can figure out how we can help you ourselves! Sell your foreclosure house in Beverly: If you’d prefer to just sell your house and avoid the chance of foreclosure altogether, that’s great! Our local company buys Beverly houses fast for cash. We can look at your situation and help you decide if selling with us would be a good idea – if it is, then we’ll make you a fair all-cash offer on your property. We can buy fast, which helps if foreclosure is coming soon. Just call us at 978-712-8250 or send us your details through this website. With the above knowledge on foreclosure effects in Beverly, you can guard yourself by calling We Buy Houses in Massachusetts at 978-712-8250 and we will assist you in the shortest time possible to sell your house. If you want to fast-track the process, kindly fill out our website contact form to give us more information about you and the property. We’d love to connect with you because we exist to help you find the best solution!